Look, we have a fun new picture. It’s of our friend, Sergio Agüero. And his friend, UK Prime Minister David Cameron. 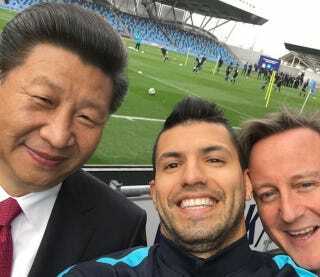 And their other friend, Chinese President Xi Jinping. Big smiles all around. Good people and great friends, these three.